The new missiles may never miss their targets by solving a years-old problem in radar technology. The development of this air-to-air missile — suspected to be the most accurate missile ever developed in its class — could be a major coup for Russia’s Detal design bureau, the developer. Russia Times notes that the chief engineer of the Detal design bureau hopes to begin manufacturing in 2015 after establishing a production facility. The economics of the missile appear to be favorable, even given the tall price-tag associated with APAA-equipped missile technology. Given the all-but-guaranteed accuracy of the system, Russia is likely to find several buyers. The K-77M could also render the PAK FA a more compelling purchase for buyers. The K-77M is reportedly compatible with previous generation Sukhoi fighters as well. 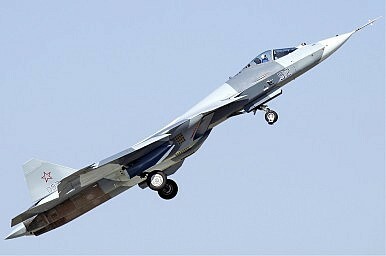 Russia already has interested buyers in the PAK FA. India is a major financial and research partner in the development of the next-generation fighter, and is expected to order around 200 units. The jointly-developed version is referred to as a the Sukhoi/HAL Fifth Generation Fighter Aircraft, a further derivative of the main PAK FA project. Until now, the primary Russian pitch on the Sukhoi PAK FA was its low cost compared to the U.S. F-22 Raptor and F-35 Lightning II. The addition of the hyper-accurate missile tech offers a compelling value-add in Russia technology, at least in the short term. The allure of an air-to-air missile that both in theory and practice never misses may be too much for prospective buyers to resist. As far as The Diplomat was able to confirm, the United States does not seem to have air-to-air missile technology in existence or in known current development to compete with the K-77M’s accuracy. India wants a greater stake in the development of a Sukhoi T-50-variant Fifth Generation Fighter Aircraft.